I find this a little hard to believe but Michael Arrington (of TechCrunch fame) says that the world’s biggest social network – Facebook – is now secretly building up a proprietary phone whose features will revolve entirely around the network. Hard to believe, but one must keep in mind that Arrington was the one who broke the news of a Google Phone (now known as the Nexus One). Facebook is building a mobile phone, says a source who has knowledge of the project. Or rather, they’re building the software for the phone and working with a third party to actually build the hardware. While Android does integrate Facebook into contacts, Facebook wants a phone which will integrate at core level with their insanely popular network. For now, nobody – except maybe the higher-ups at Facebook, maybe – know how the phone looks like. Or when it will be announced or how much it will cost. A holiday season launch date wouldn’t be such a bad idea, though. Specifically, Facebook wants to integrate deeply into the contacts list and other core functions of the phone. It can only do that if it controls the operating system. But we do have a little idea of how it will work. Things like taking a photo and uploading to Facebook will be a simple three-step process: snap, caption, upload. 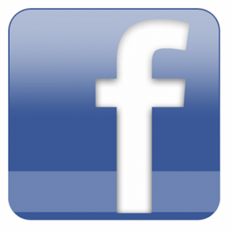 All your FB friends will be in the contacts list with their photos, videos, updates, links etc. Updating a status would be done directly from homescreen. Things of such nature. With over 500 million users, they have quite a number of people of different demographics to target. The phone would most probably be dirt-cheap so that maximum number of people can use it. We must keep in mind that Google Android already does most of this. You upload photos directly from your camera via the sharing tool. If enabled, all your FB contacts integrate with your own contacts and finally, stuff like updating directly from your homescreen and viewing photo albums from the Gallery app are already there! iPhone too in a way does some sort of Facebook integration with contacts via the popular “Facebook for iPhone” app. 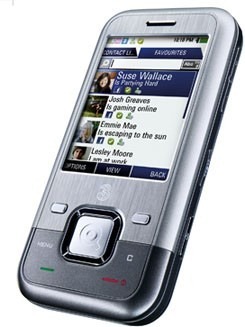 The only thing that might make a Facebook phone sell nicely would be cheap price. A 25-50$ phone that integrates Facebook completely wouldn’t a bad deal if you’re in the 12-17 age demographic. You can read more about the Facebook phone, including the names of the alleged people involved in its development in TechCrunch’s post here. UPDATE 1: In a response to the rumor, Facebook has confirmed to Mashable that “we are not building a phone”.